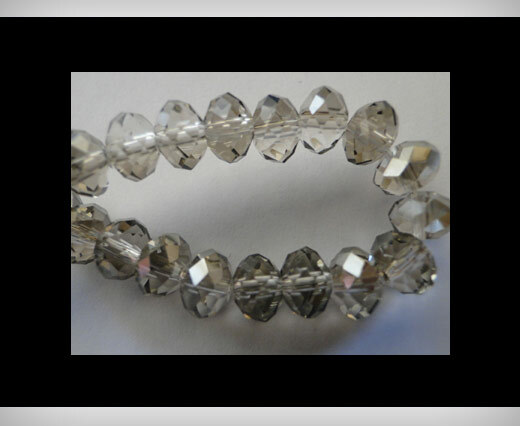 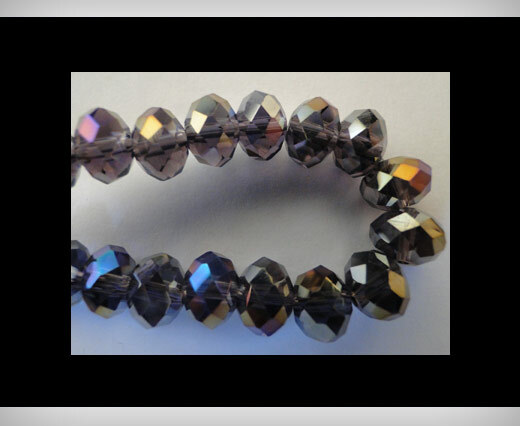 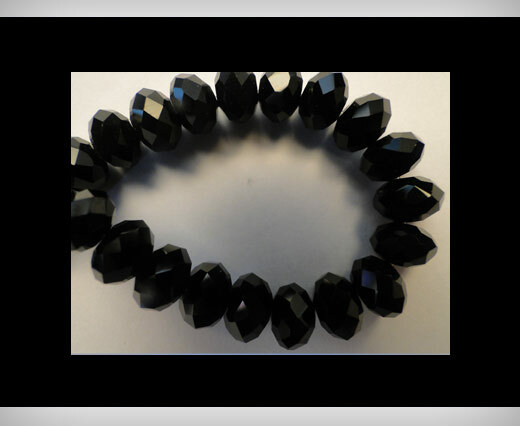 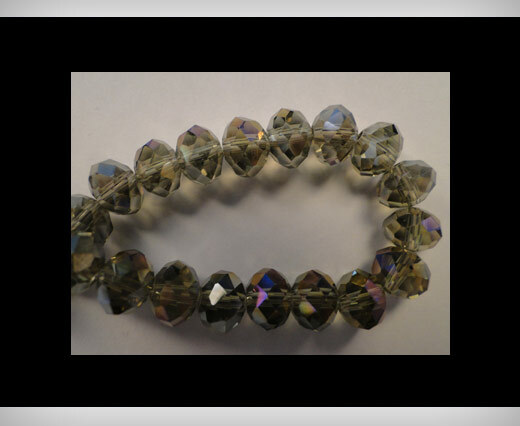 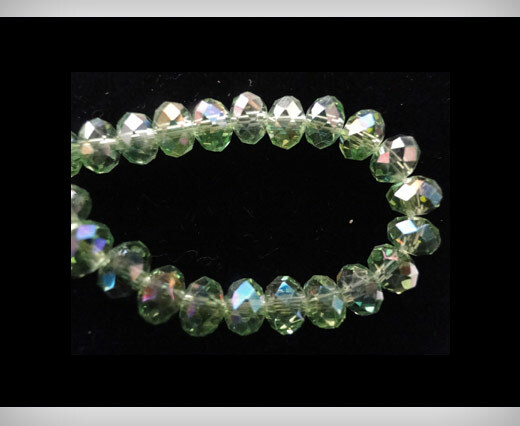 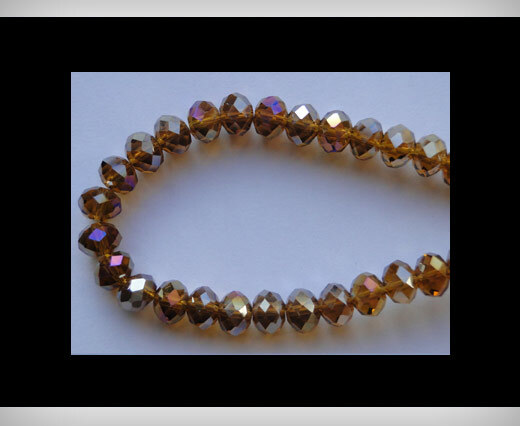 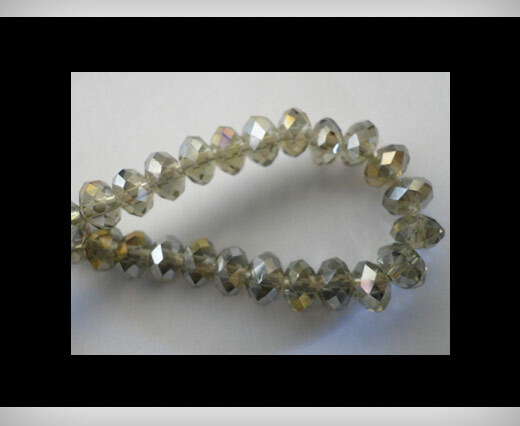 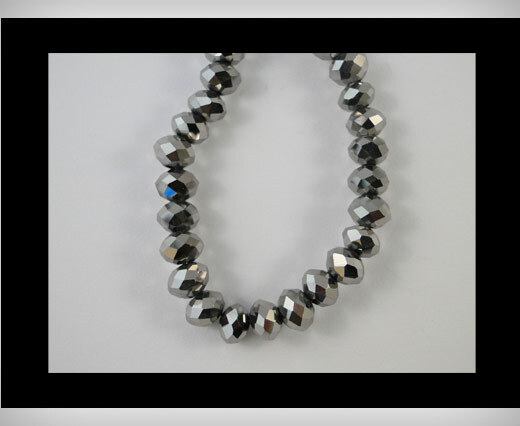 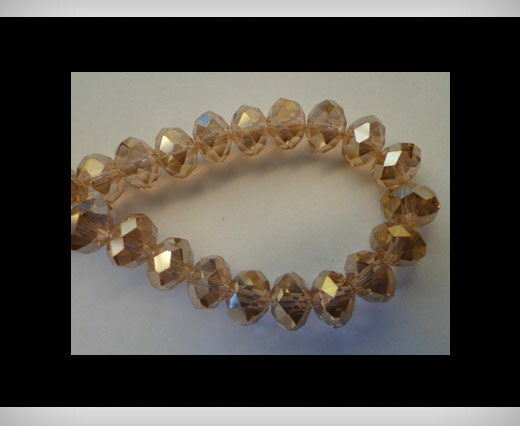 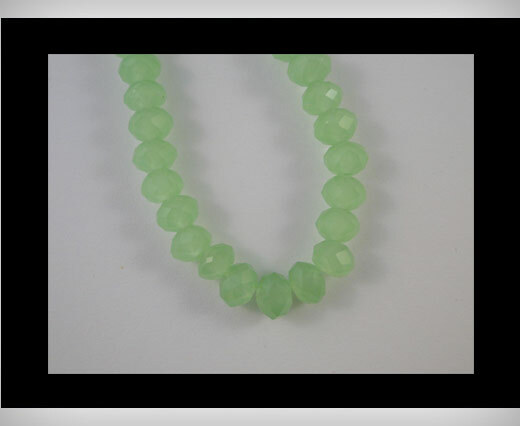 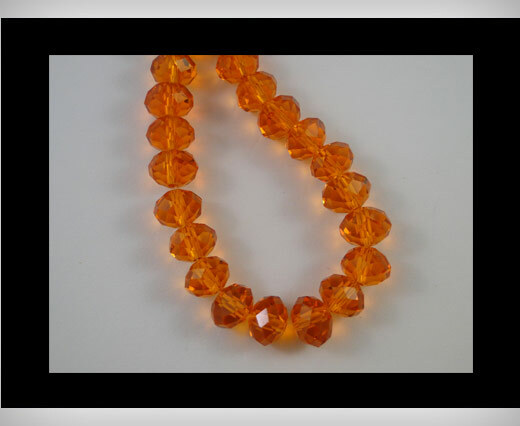 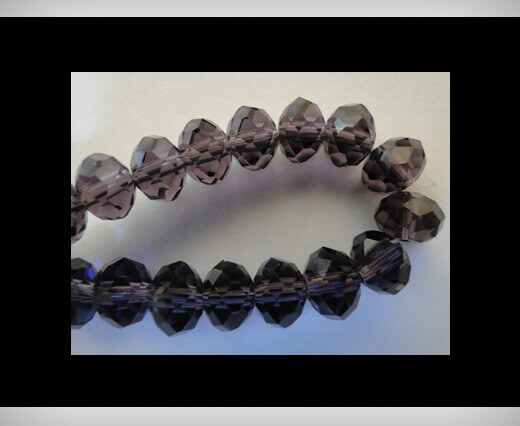 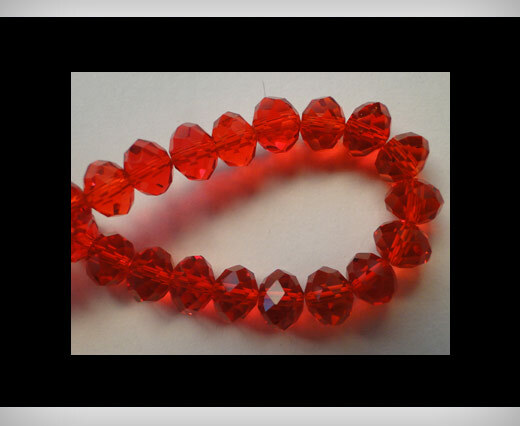 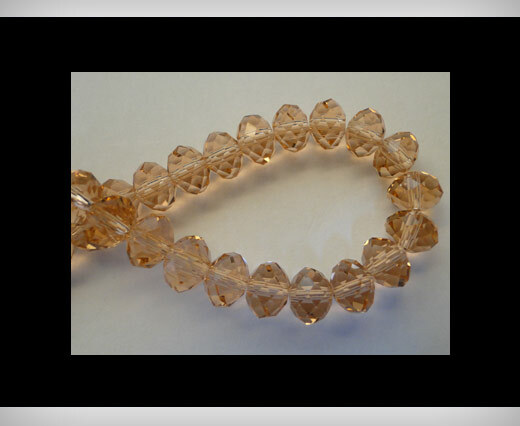 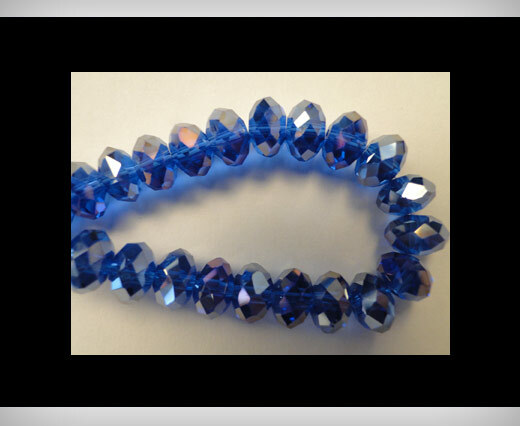 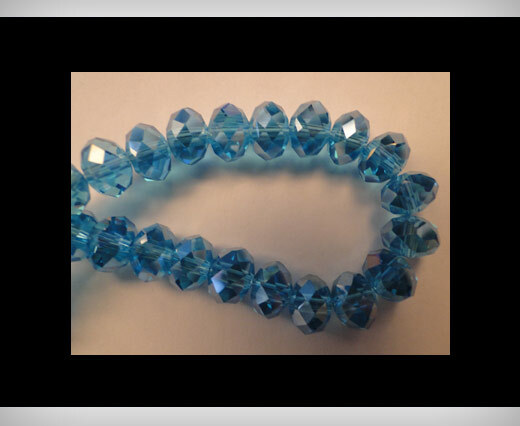 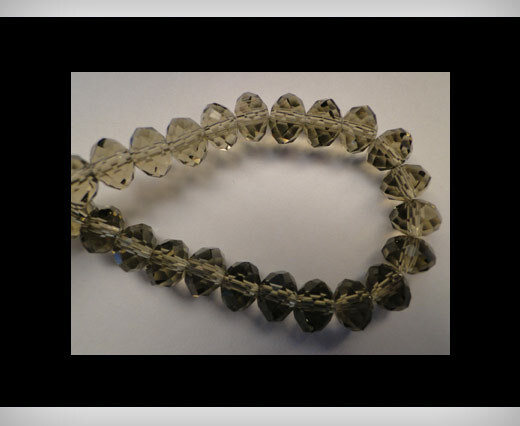 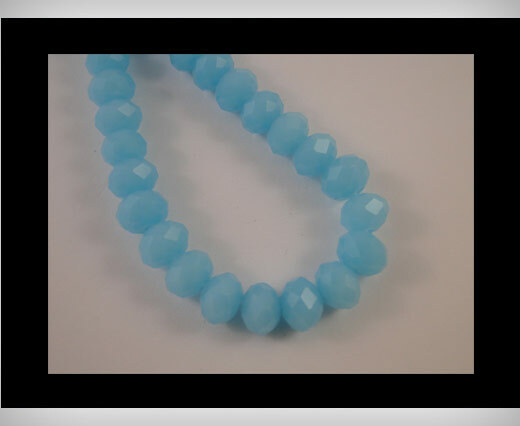 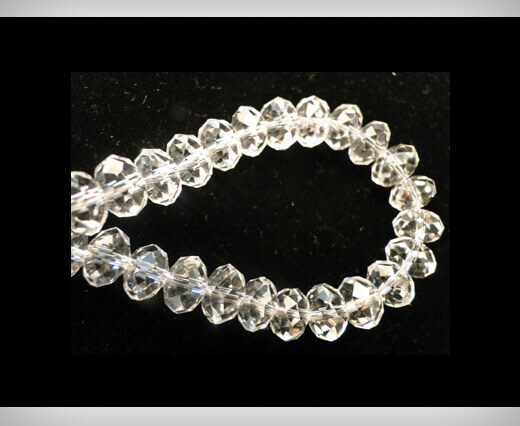 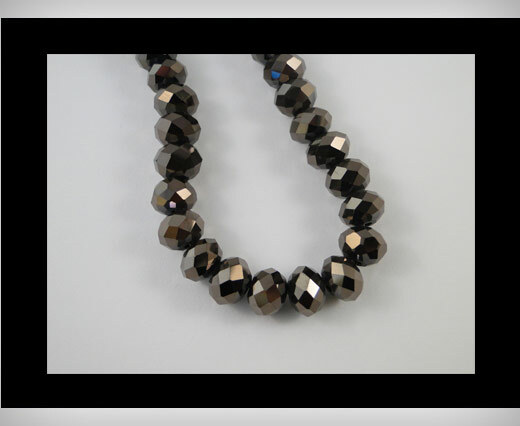 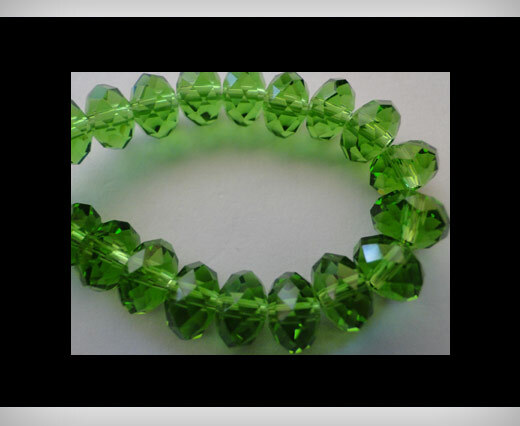 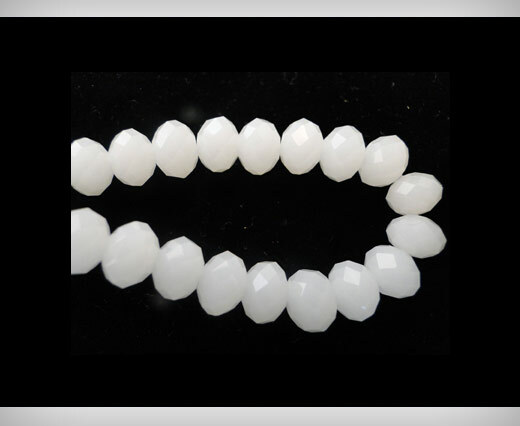 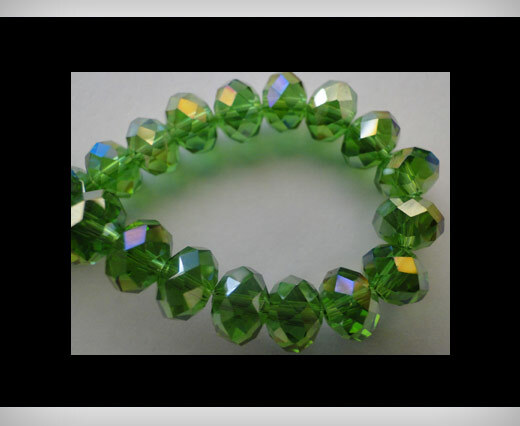 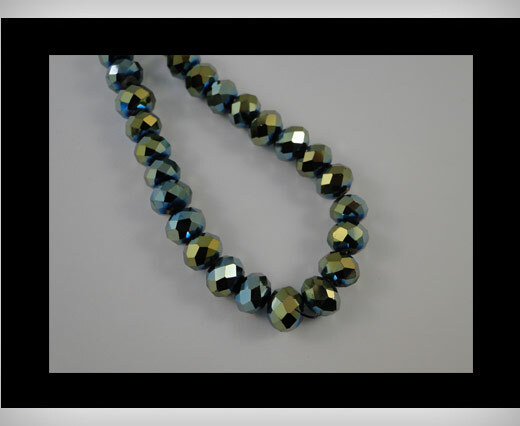 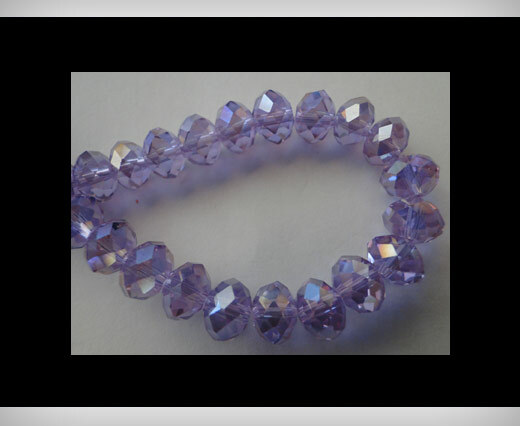 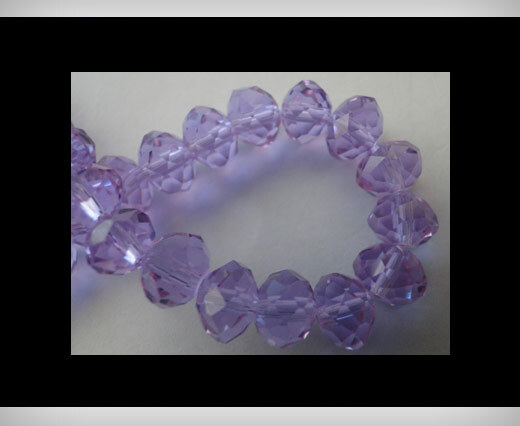 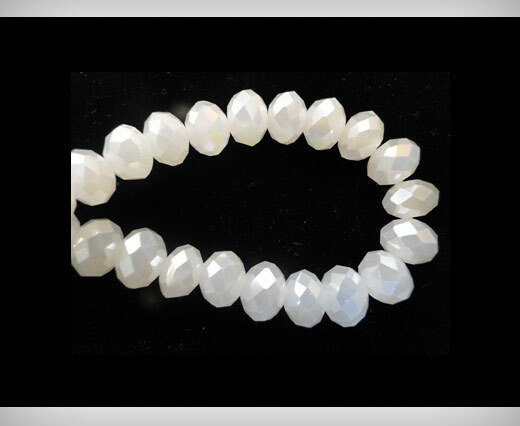 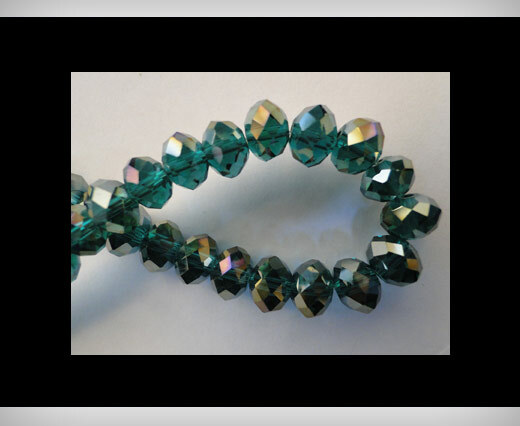 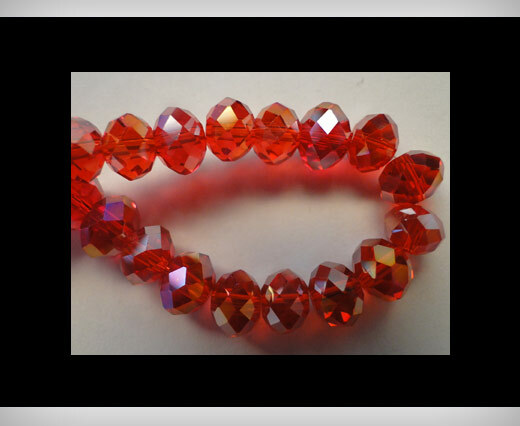 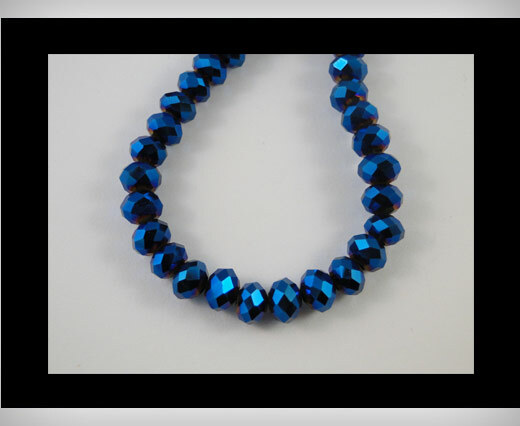 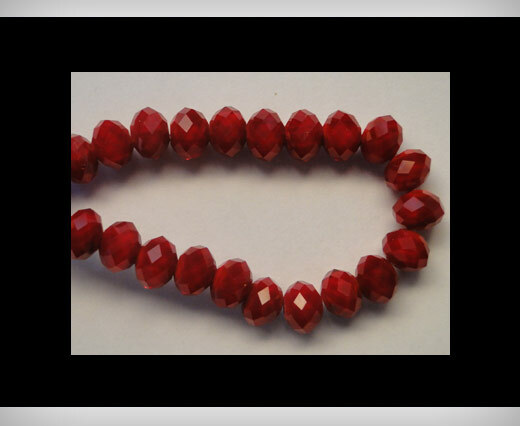 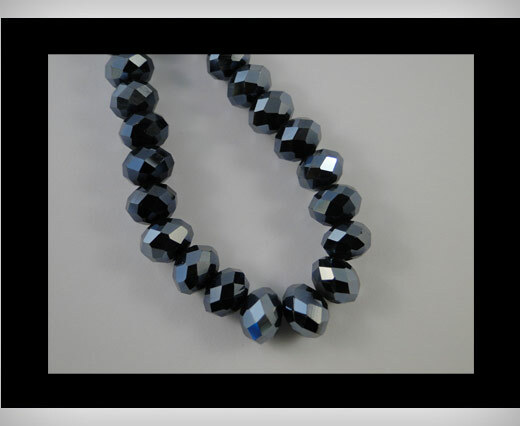 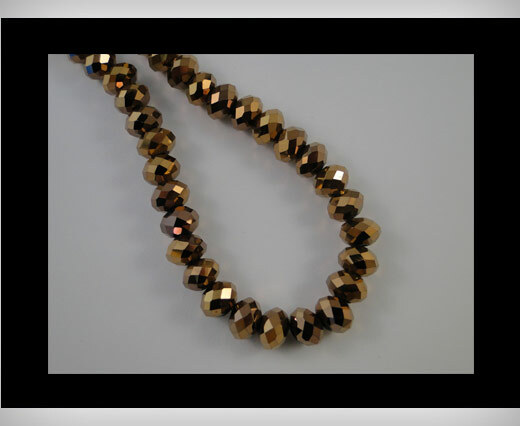 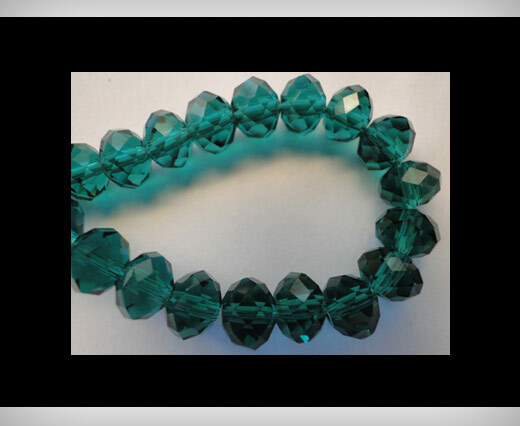 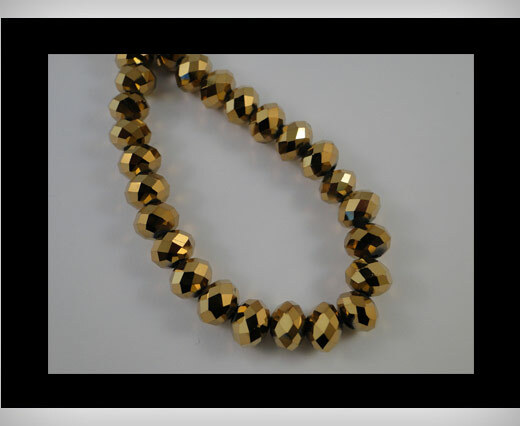 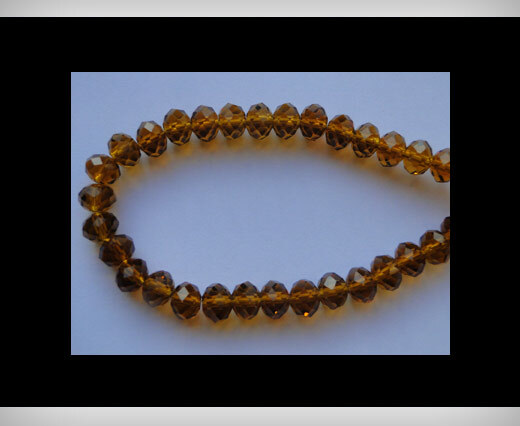 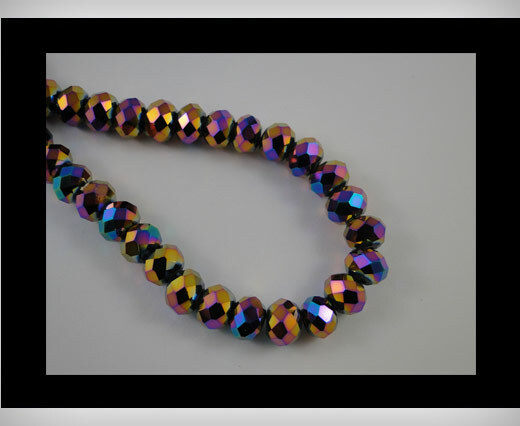 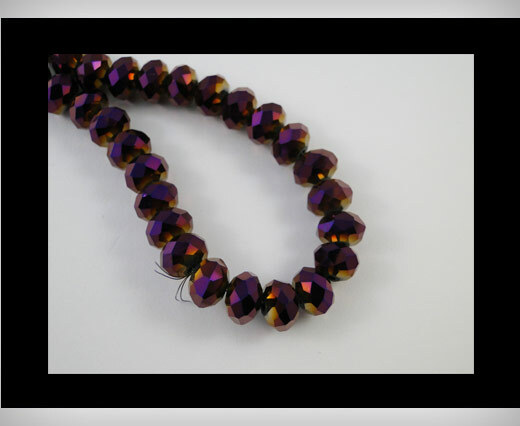 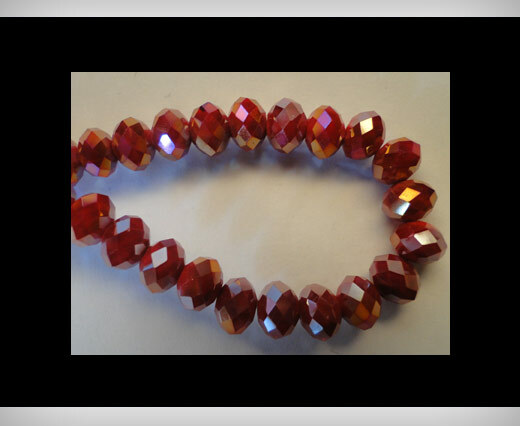 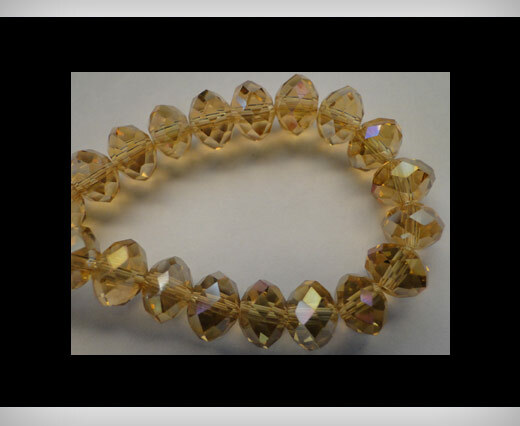 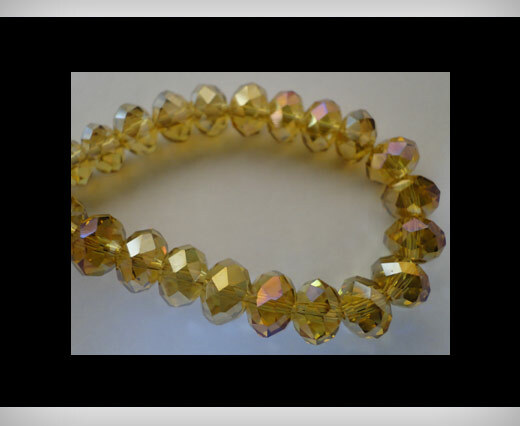 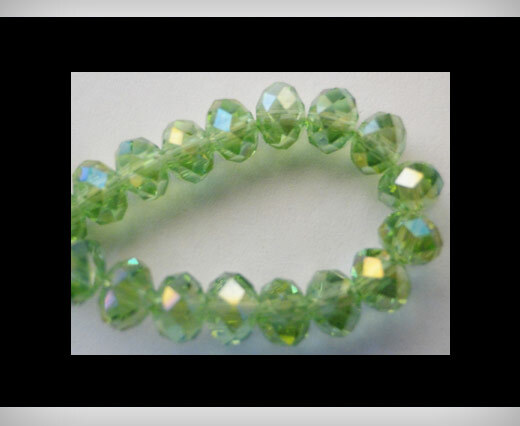 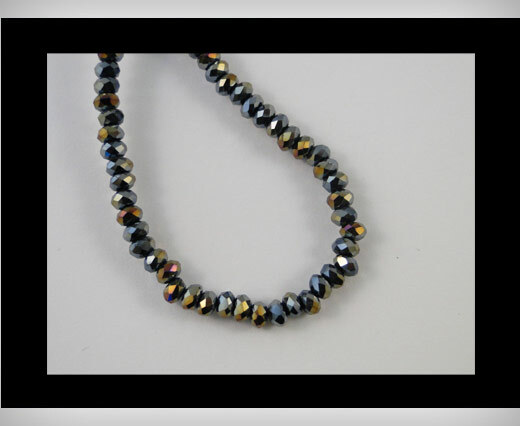 Glass beads crystal round faceted - Size 3mm.150pcs on a string . 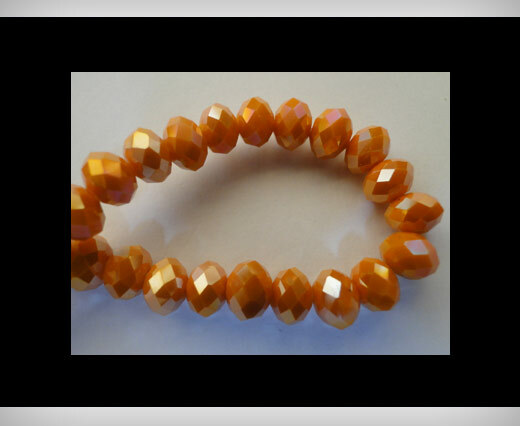 Available in over 50+ colours. 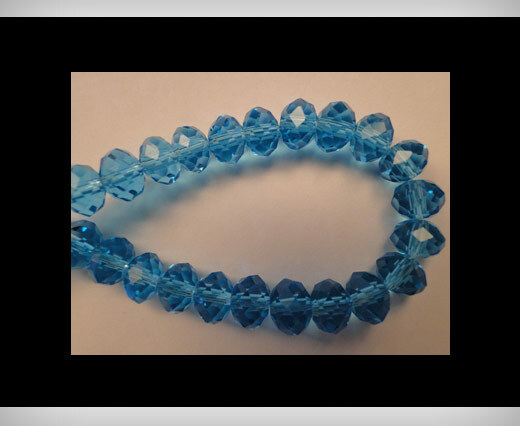 Multiple sizes can be ordered using drop down list under shopping cart available in 4mm. 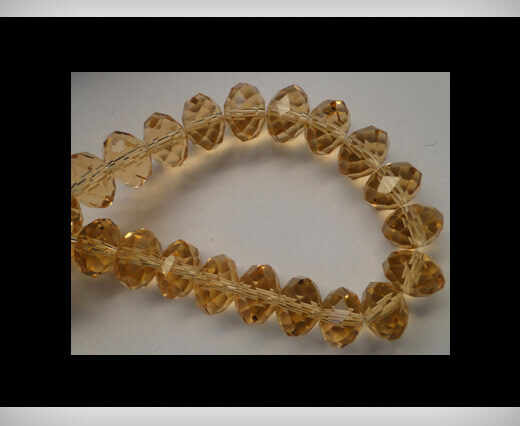 Minimum Order Quantity (3mm, 4mm, 6mm, 8mm) = 10strings/colour/sizeMinimum Order Quantity (10mm, 12mm, 14mm, 16mm,18mm) = 5 strings/colour/size Prices areØ 3mm (150pcs per string) - €2.25/string - 1.5cents/pcØ 4mm (100pcs per string) - €1.5/string - 1.5cents/pcØ 6mm (100pcs per string) - €2.5/string - 2.5cents/pcØ 8mm (72pcs per string) - €2.5/string - 3.5cents/pcØ 10mm (72pcs per string) - €4.0/string - 5.6cents/pcØ 12mm (72pcs per string) - €5.0/string - 6.9cents/pcØ 14mm (60pcs per string) - €8.0/string - 13.3cents/pcØ 16mm (48pcs per string) - €9.75/string - 20.3cents/pieceØ 18mm (48pcs per string) - €14.5/string - 30.2cents/pieceCombine beads with different styles of leather (braided, leather cords, etc), suede cords, silk & hair-on.